Why Get an EKG or Electrocardiogram? If you are experiencing chest pains or other symptoms that are often associated with heart disease, it may time to ask your doctor if an EKG or Electrocardiogram test is right for you. 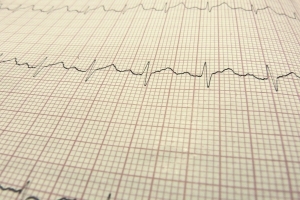 Depending on what your symptoms are leading up to, an EKG can be a lifesaving procedure, pointing out problems that can be addressed by your Westland Clinic or Livonia doctor. If you are a resident of Livonia, Westland, Garden City, Redford, or Dearborn and think an EKG may be beneficial to you, contact Westland Clinic today to schedule your appointment with one of our doctors. After consultation, your doctor will be able to tell you if he or she feels as if it would be the proper step to take based on your conditions or concerns.